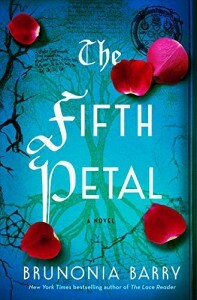 The Fifth Petal is the second book in The Lace Reader series. I really enjoyed the first book, especially with its setting of Salem and the witch history. This novel is set several years into the future and it features some new characters along with some from the first book. Callie is at the center of this book, having come back to Salem after decades away. Salem holds a lot of memories for Callie, many of them too horrible to want to revisit. But coming back forces her to confront her demons, both inside herself and those around her. Like the first novel, the story blends magic, history, and thriller elements to create a rich story. The characters are so quirky, even if you didn't like them. 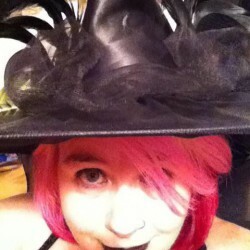 The local witch at times seems harmless and at other times the femme fatale. The romantic hero is one moment the privileged son of wealth, the next passionate about his work. Callie is a healer, who uses sound and singing bowls as her healing modality. And there is even a bit of old world feuding that has persevered for centuries, manifesting itself in unexpected ways. I loved the story, but there was a lot going on at times that made it a lot to track. There really were two major plot lines, that while they overlapped from time to time, could really have been two different stories. One other thing to love... I loved Towner in the first novel so seeing her character's life now was wonderful. She was such a tragic character in the first that it was good to see her happy in the second.